As the A896 from Lochcarron meets Loch Kishorn and turns north towards Shieldaig your attention is usually gripped by the sight of the Applecross mountains looming magnificently ahead of you. 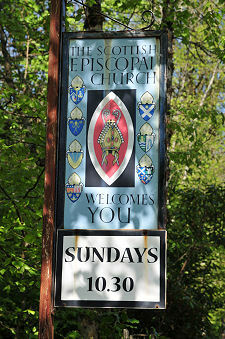 As a result it is easy to miss a sign on the west side of a wooded stretch of the road pointing to Courthill Chapel. 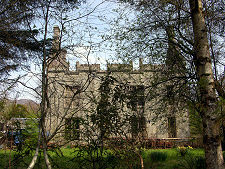 The chapel stands close to the now demolished Courthill House. This probably existed as a farmstead from the 1700s, and it was extended into a Tudor-style mansion house in the first half of the 1800s. The Lochcarron Estate, including Courthill House, was purchased by Charles James Murray in 1882 and over the following years he extended the house, adding, amongst other things, a service court on the north side of the house. The north wing of what was originally the service court of the house remains in use as Courthill Chapel, part of the Scottish Episcopal Church. The chapel was excluded from the 1946 sale, and by 1950 it was again in use as a church. 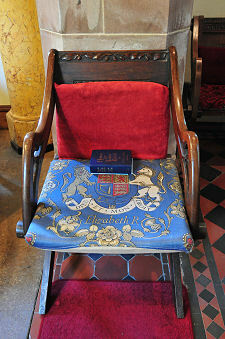 In 1979 the chapel was gifted to the Scottish Episcopal Church by the family. 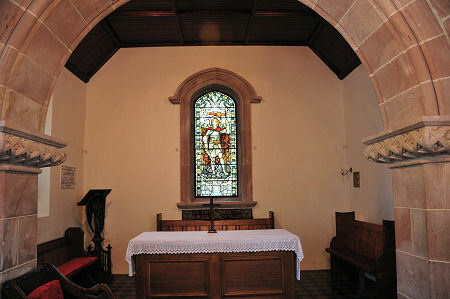 The first chapel at Courthill was established in 1884, probably in one of the reception rooms. 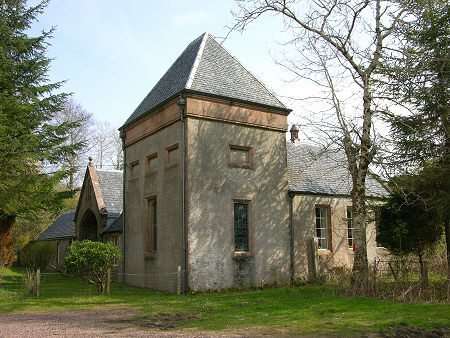 But the chapel that emerged in 1901 was designed for the purpose by the Inverness architect Alexander Ross. And given that only local residents were employed by the household, it is likely that the builders would also have been local. When the Murrays were in full time residence at Courthill, services were held for the entire household each day before breakfast. Lady Anne Murray would read the lesson and the lady's maid would provide musical accompaniment on the harmonium. Attendance by the household was not optional... On Sundays the service was conducted by a visiting minister, and families from neighbouring estates also attended. Today, services are held at 10.30am each Sunday and the congregation is drawn more widely from across the area. And today the services are not compulsory! The chapel has changed very little since it was built. Externally its most prominent feature is the pyramid roofed tower over the chancel at the north end. 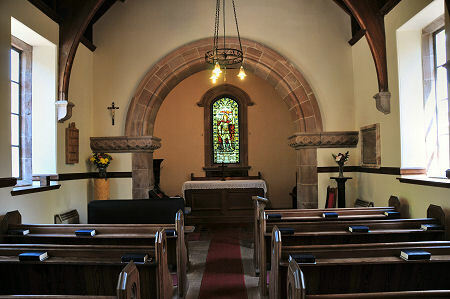 The interior of the chapel is attractive and intimate. Your attention is held by the beautiful Romanesque chancel arch dividing the sanctuary from the body of the chapel. Most of the ornamentation within the church is dedicated to members of a family that had more than its fair share of tragedy. In 1885 Elspeth, the second daughter of Charles James and Lady Anne Murray, died aged just four. She is remembered in a stained glass window in the sanctuary's west wall. Much more obvious is the striking stained glass window in the north wall of the sanctuary, visible from anywhere the chapel. This remembers the family's oldest son, Alasdair, who died of wounds in the Boer War in 1900. 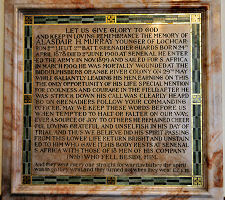 Alasdair is also remembered in a plaque in the chapel.